Match ends, VfB Stuttgart 0, FC Augsburg 4. Second Half ends, VfB Stuttgart 0, FC Augsburg 4. Offside, VfB Stuttgart. Florian Klein tries a through ball, but Timo Baumgartl is caught offside. Corner, VfB Stuttgart. Conceded by Marwin Hitz. Attempt saved. Christian Gentner (VfB Stuttgart) left footed shot from a difficult angle on the left is saved in the top centre of the goal. Attempt blocked. Christian Gentner (VfB Stuttgart) left footed shot from the centre of the box is blocked. Corner, VfB Stuttgart. Conceded by Paul Verhaegh. Attempt saved. Daniel Didavi (VfB Stuttgart) right footed shot from outside the box is saved in the bottom right corner. Assisted by Jan Kliment. Substitution, VfB Stuttgart. Philip Heise replaces Filip Kostic. Offside, FC Augsburg. Daniel Baier tries a through ball, but Dong-Won Ji is caught offside. Substitution, FC Augsburg. Halil Altintop replaces Dominik Kohr. Attempt missed. Emiliano Insúa (VfB Stuttgart) left footed shot from outside the box is high and wide to the left. Assisted by Lukas Rupp. Attempt saved. Alexander Esswein (FC Augsburg) right footed shot from the centre of the box is saved in the centre of the goal. Assisted by Paul Verhaegh. Timo Werner (VfB Stuttgart) wins a free kick on the right wing. Attempt missed. Jan Morávek (FC Augsburg) left footed shot from the centre of the box is too high. Assisted by Philipp Max. Corner, FC Augsburg. Conceded by Timo Baumgartl. Attempt missed. Timo Werner (VfB Stuttgart) right footed shot from the centre of the box is close, but misses to the left. Assisted by Daniel Didavi. Attempt saved. Ragnar Klavan (FC Augsburg) header from the centre of the box is saved in the top centre of the goal. Assisted by Daniel Baier with a cross. Corner, FC Augsburg. Conceded by Emiliano Insúa. Attempt blocked. Caiuby (FC Augsburg) left footed shot from the centre of the box is blocked. Assisted by Jan Morávek. Attempt missed. Florian Klein (VfB Stuttgart) right footed shot from outside the box is too high. Assisted by Christian Gentner. Substitution, FC Augsburg. Jan Morávek replaces Ja-Cheol Koo. Jan Kliment (VfB Stuttgart) is shown the yellow card. Substitution, FC Augsburg. Dong-Won Ji replaces Raúl Bobadilla. Substitution, VfB Stuttgart. Lukas Rupp replaces Geoffroy Serey Dié. Hand ball by Caiuby (FC Augsburg). Geoffroy Serey Dié (VfB Stuttgart) is shown the yellow card for a bad foul. Goal! VfB Stuttgart 0, FC Augsburg 4. Ja-Cheol Koo (FC Augsburg) left footed shot from the centre of the box to the bottom right corner. Assisted by Raúl Bobadilla. Attempt saved. Filip Kostic (VfB Stuttgart) left footed shot from outside the box is saved in the centre of the goal. Assisted by Daniel Didavi. Daniel Didavi (VfB Stuttgart) wins a free kick in the defensive half. Second Half begins VfB Stuttgart 0, FC Augsburg 3. 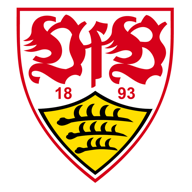 First Half ends, VfB Stuttgart 0, FC Augsburg 3. Attempt missed. Daniel Didavi (VfB Stuttgart) left footed shot from outside the box is too high from a direct free kick. Attempt missed. Timo Baumgartl (VfB Stuttgart) header from the centre of the box misses to the right. Assisted by Filip Kostic following a set piece situation. Christian Gentner (VfB Stuttgart) wins a free kick on the left wing. Attempt missed. Emiliano Insúa (VfB Stuttgart) left footed shot from the left side of the box misses to the right. Assisted by Filip Kostic. Attempt missed. Timo Werner (VfB Stuttgart) header from the centre of the box misses to the right. Assisted by Florian Klein with a cross. Raúl Bobadilla (FC Augsburg) wins a free kick in the defensive half. Offside, FC Augsburg. Ragnar Klavan tries a through ball, but Raúl Bobadilla is caught offside. Dominik Kohr (FC Augsburg) wins a free kick in the attacking half. Florian Klein (VfB Stuttgart) wins a free kick in the defensive half. Goal! VfB Stuttgart 0, FC Augsburg 3. Jan-Ingwer Callsen-Bracker (FC Augsburg) header from very close range to the top left corner. Assisted by Daniel Baier with a cross following a corner. Corner, FC Augsburg. Conceded by Daniel Schwaab. Attempt blocked. Ja-Cheol Koo (FC Augsburg) left footed shot from outside the box is blocked. Assisted by Daniel Baier with a headed pass. Attempt missed. Alexander Esswein (FC Augsburg) right footed shot from the right side of the box is just a bit too high. Assisted by Caiuby. Attempt blocked. Christian Gentner (VfB Stuttgart) right footed shot from the centre of the box is blocked. Assisted by Daniel Didavi. Corner, VfB Stuttgart. Conceded by Caiuby. Attempt blocked. Daniel Didavi (VfB Stuttgart) left footed shot from outside the box is blocked. Assisted by Timo Werner. Foul by Jan Kliment (VfB Stuttgart). Substitution, VfB Stuttgart. Jan Kliment replaces Toni Sunjic. Attempt missed. Raúl Bobadilla (FC Augsburg) left footed shot from the centre of the box is close, but misses to the right. Assisted by Caiuby. Corner, VfB Stuttgart. Conceded by Daniel Baier. Foul by Raúl Bobadilla (FC Augsburg). Daniel Schwaab (VfB Stuttgart) wins a free kick in the defensive half. Attempt saved. Emiliano Insúa (VfB Stuttgart) left footed shot from outside the box is saved in the bottom right corner. Filip Kostic (VfB Stuttgart) wins a free kick on the right wing. Corner, VfB Stuttgart. Conceded by Ragnar Klavan. Own Goal by Timo Baumgartl, VfB Stuttgart. VfB Stuttgart 0, FC Augsburg 2. Attempt missed. Alexander Esswein (FC Augsburg) left footed shot from outside the box misses to the right following a corner. Foul by Toni Sunjic (VfB Stuttgart). Attempt blocked. Raúl Bobadilla (FC Augsburg) right footed shot from the centre of the box is blocked. Assisted by Caiuby. Attempt saved. 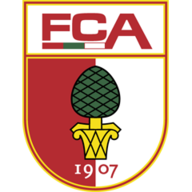 Raúl Bobadilla (FC Augsburg) right footed shot from outside the box is saved in the centre of the goal. Assisted by Caiuby with a headed pass. Attempt missed. Daniel Didavi (VfB Stuttgart) left footed shot from outside the box is high and wide to the right from a direct free kick. Goal! VfB Stuttgart 0, FC Augsburg 1. Alexander Esswein (FC Augsburg) left footed shot from outside the box to the bottom left corner. Assisted by Raúl Bobadilla with a through ball. Offside, VfB Stuttgart. Filip Kostic tries a through ball, but Christian Gentner is caught offside. Offside, FC Augsburg. Philipp Max tries a through ball, but Raúl Bobadilla is caught offside. Attempt missed. Toni Sunjic (VfB Stuttgart) header from the centre of the box is just a bit too high. Assisted by Filip Kostic with a cross following a corner. Attempt blocked. Daniel Didavi (VfB Stuttgart) left footed shot from outside the box is blocked. Offside, FC Augsburg. Dominik Kohr tries a through ball, but Alexander Esswein is caught offside. Attempt saved. Daniel Didavi (VfB Stuttgart) header from the centre of the box is saved in the bottom left corner. Assisted by Emiliano Insúa with a cross.